Following the success of the first season of The Springheel Saga – The Strange Case of Springheel’d Jack, (Starring Hammer’s very own, Julian Glover, Quatermass and the Pit) the team at The Wireless Theatre Company return once more, breathing new life into this folklore legend. Springheel’d Jack himself could easily fit right into the Gothic horror stories that Hammer films were synonymous for. A Victorian urban legend, thrust into the limelight and sensationalised by the Penny Dreadfuls of its time, who is described as “having a terrifying and frightful appearance, with diabolical physiognomy, clawed hands, and eyes that “resembled red balls of fire“. Set out as a 3 part radio play from the inspiring minds of Robert Valentine and Jack Bowman, The Legend of Springheel’d Jack picks up seven years after the events of Series One, with the murder of thirteen-year-old pickpocket Maria Davis, believed to be at the hand of Springheel’d Jack. Once more, our reluctant hero, Detective Inspector Jonah Smith is embroiled in the deep under belly of Victorian London and like the audience is soon thrust into the wickedly, deceptive exploits of Springheel’d Jack. Such is the compelling writing and strong characters on display in this brilliantly crafted thriller, HHP found themselves immersed into the world that Valentine and Bowman have created. Series 1 was masterful with its twists and turns and proved captivating listening and from what HHP heard in the first part of Series 2 – The Terror of London continues the trend to delight and intrigue its listeners further. Inspired in part by some of Hitchcock’s thrillers, with enough intrigue to salivate the senses, we are left in anticipation to find out how The Legend of Springheel’d Jack concludes. Check out more from The Springheel Saga by listening to the trailer below. And don’t fret, if you missed out on the first series, you can still catch it here. 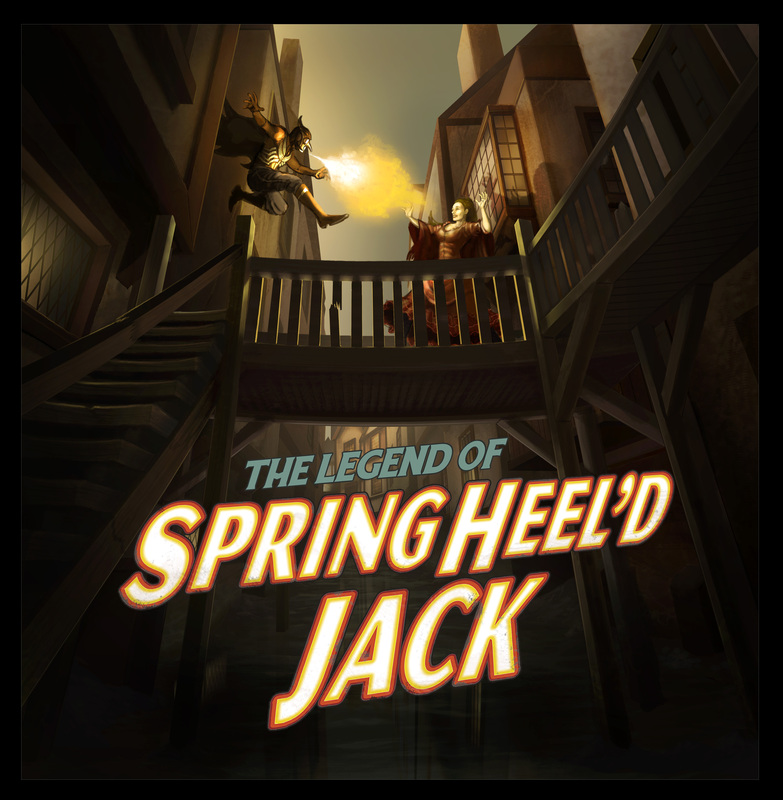 Series 2 – The Legend of Springheel’d Jack : The Terror of London will be released on 9th December 2013. “Best Radio Drama”, nominated 2013, British Public Radio Awards. “Best Fantasy Audio Production”, 2011-2012, Mark Time Ogle Awards. “Best Twenty Radio Productions of 2012”, Radio Drama Review. “Best Drama Production,” nominated 2011, Radio Production Awards. ~ by surgeons of horror on December 9, 2013.